Can you believe it? The August Greater Atlanta Coin Show has come and gone. The days, weeks and months of 2015 are passing quickly. This month, lots of different groups, in addition to us, made the hotel busy with people attending family reunions, fraternity get-togethers and at least three different church groups. Outside, the temperature remained hot, but not an unbearable hot, with sun and high thin clouds for most of the day. Inside, the August show was back in the Joe Mack Wilson ballroom, and dealers packed the tables with their variety of displays. The bourse enjoyed lots of visitors roaming the aisles and talking with the dealers about their many interesting items. We do appreciate all of you that helped make the August coin show a busy place to be from the hotel staff to the dealers to the security to the visitors; those who came to buy, sell and just browse-thank you all. Talk on the floor included speculation on the upcoming ANA show in Chicago in the next week along with discussion of the Blue Ridge Numismatic Association's show in Dalton the following week. Several dealers planned to go to Chicago; others planned to be in Dalton while some planned to do both. As for the visitors, many looked for silver to buy, but that's difficult to find these days. Other visitors brought items to be appraised, and if they were happy with the valuation, to sell. Now, let's take a look, via words, at some of the items on the August bourse. This month, a new dealer, subbing for one of the regular dealers, offered beautiful turquoise pieces in his showcases along with gold and silver collectibles. The Red Book rates the values of the 500 Confederate Half Dollar restrikes from $2500 to $5000 depending on their condition. For the last example from the August coin show, an interesting collectible, though not a numismatic one, was a large, poster-size certificate from the 1851 Crystal Palace Exhibition. This certificate was assigned to J. Eignau Wermuth in the Switzerland section. Mr. Wermuth displayed his osteotome, a surgical instrument, during the exhibition. Prince Albert, Queen Victoria's husband, signed the certificate. Though, since there were 14,000 exhibitors, thus certificates, they may have found a way to "automate" his signature back in 1851. The bourse also offered a few, just a few, of the US Mint's High Relief gold coins recently released on 7/30. The new high relief is reminiscent of the 2009 high relief that used Augustus Saint-Gaudens vision for the double eagle. His vision did not work well back then using early 20th century minting processes. Today, the US Mint uses modern technology in producing the new high relief coins. The new high relief coin's design has a modern Liberty holding a torch and a flag on the obverse with an eagle in flight its talons grasping a branch on the reverse. As with several of their items, these .9999 pure gold coins currently show "back order" on the US Mint's web site. Going back in time and looking to silver rather than gold, a complete set of Winged Liberty (Mercury) dimes was available at the show. The US Mint produced these silver dimes designed by Adolph A. Weinman from 1916 to 1945 at the Philadelphia, Denver and San Francisco mint locations. Yes, the complete set included the key-date 1916D dime that starts in value at 4-digits on the low end of the grading scale and goes into the 5-digits on the higher end. Not near as valuable, the set also had the 1921 and 1926 secondary key-date coins. In that same era, but neither silver nor gold, the show included an interesting buffalo nickel, a 1918D, 8 over 7, coin. Like the key-date dime, this one overdate nickel starts its value in the 4-digits at the lower end of the grading scale and moves into the 5-digits at the higher end with one MS-65 version going for over $350,000 at an auction in 2006. The specific overdate population, unfortunately, is unknown. They are counted in the 1918D total number of 8,362,000. Next on the bourse was a half dollar, but not just any half dollar. This was a Confederate States half dollar restrike. Only four original Confederate half dollars were struck in the New Orleans mint in 1861, using the regular Seated Liberty obverse die that was already on hand for federal coinage, and a new reverse die that was engraved by A.H.M. Patterson. Scott obtained the original Confederate States of America half dollar die in the 1870s, and proceeded to make 500 restrikes from the die in soft white metal, with an advertising inscription for Scott on the obverse and the impression of the Confederate die on the reverse. After these pieces were struck, he obtained 500 Seated half dollars dated 1861 (ostensibly from the New Orleans mint), planed off the reverse of each coin, and struck 500 examples with the regular Seated half dollar design on the obverse and the Confederate half design on the reverse. The obverse was slightly flattened on each resulting example (hence the restrikes are graded by the reverse only), but collectors could then obtain a specimen with the same obverse and reverse designs, and struck from the same reverse die, that was originally intended for a proposed Confederate coinage. As the four original specimens struck in 1861 seldom appear on the market and are high priced rarities, most collectors will never own one, and only a lucky few ever have the chance to even see one. The restrikes represent a relatively affordable opportunity to own a prized example, struck from the original Confederate die, of what "might have been" had the Confederacy proceeded with its original coinage plans. The restrikes have earned their place as highly desirable numismatic items. 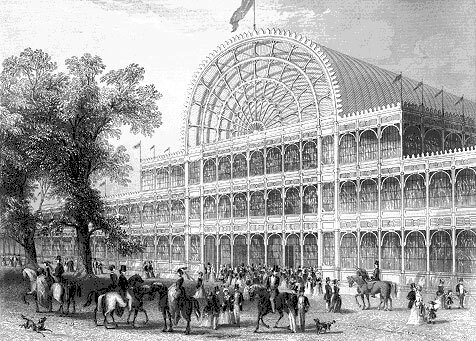 "While in past years, previous to 1851, there have been gatherings of merchants from different nations for trade and commerce, yet the first well-defined World's Fair was the one held in London in 1851, and in a building known as the Crystal Palace. 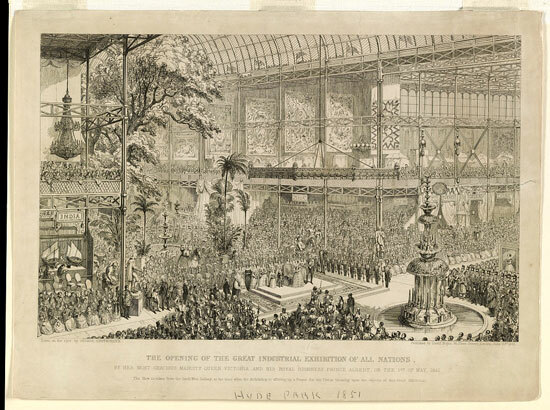 "There can be no question but that the originator of this International Exhibition was Prince Albert, and to him is due the credit of one of the most important events of the present century, for from the starting point of 1851 have proceeded all other World's Fairs until now, when Chicago-a comparatively unknown factor at that date-will close the century with an exhibition worthy of itself and the American nation. "So far as concerns National Exhibitions, we must bear in mind that the initial movement is due to the French who first undertook to offer prizes at public exhibitions for distinctive excellence. Later on, England followed in the same line, and the local exhibition at Birmingham was so complete and exhaustive, that it doubtless secured public attention when the International Exhibition of 1851 was suggested by Prince Albert." These were just a few of the items found among the displays on the bourse. Next month, the dealers will display similar items along with newly obtained collectibles they find between coin shows. As usual, coins, bullion, currency and related numismatic collectibles will be in the dealers' showcases along with odd and interesting pieces as well. Mark your calendars for the next Greater Atlanta Coin Show on Sunday, September 13, 2015 in the Joe Mack Wilson Ballroom.